Purchase Orders can be raised when purchasing services or stock items from suppliers. Purchase Orders are multi-currency and, once completed, can be e-mailed directly to suppliers. When stock is received, the corresponding Purchase Order can be used to identify a destination location and automatically update inventory levels at that location. Purchase Orders can be posted directly into your accounting package to track orders made and maintain current accounts payable information. 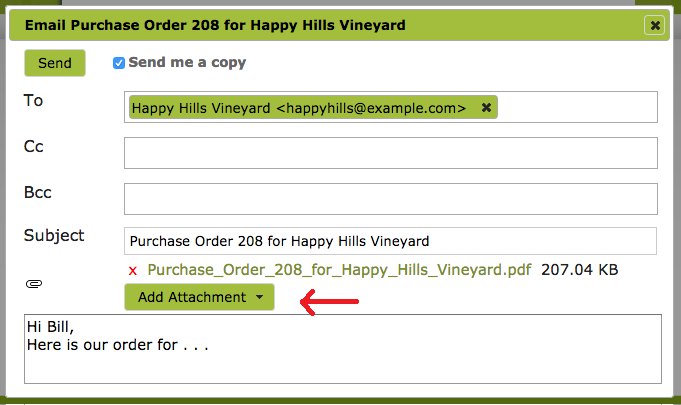 All purchase orders have ‘View’ and, when appropriate, ‘Edit’ , ‘Delete’ and ‘Print’ links. 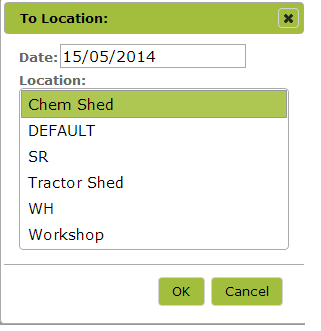 Create a new purchase order by clicking the ‘New’ button on the purchase order list. If the new purchase order closely resembles prior orders, you can can save time and effort by copying the relevant prior order and using it as a template for your new order. See the section ‘Copying’ below. When creating a new purchase order, begin by selecting a supplier from the drop down ‘Supplier’ menu. If the supplier is not in that list, you will need to go back to ‘Contacts‘ and create a new supplier from there before proceeding with the purchase order. Enter the date, currency, item description, unit of measure, unit price, quantity and tax rate. Then press ‘insert.’ The sales tax and totals will be added automatically. Finally save the new order. Vinsight also integrates with accountancy packages (like Xero). You can put the expense and asset ledgers in the accounting area for when you post purchases to your accounting package. This allows you to post all of your purchase orders directly into your accounting software for approval without having to re-type anything. To copy a prior order, select the relevant order from the list and click ‘view’. The order will open and can be copied by clicking on the ‘Actions’ button and selecting ‘copy’ from the drop down menu. Finally click ‘edit’ and amend the newly copied order as required. If you are entering a long or complicated order, you can save as you go along by selecting ‘Save and Continue Editing’ from the ‘Save’ drop down menu. If inputting several orders at once, click “Save and Add New” to go straight to new Purchase Order template. On some occasions you may want the product you are ordering to be shipped somewhere other than your default delivery address. For example, you may want to order bottles to go to bottling company, or order something out of stock and deliver it directly to your customer. On these occasions, when creating your new purchase order, you should click on the ‘Addresses’ tab just under the ‘Supplier’ box. This will expand the ‘Addresses’ box and give you the option to select another saved address from a drop down menu or directly enter a new address. Once saved, a purchase orders can be directly e-mailed to the relevant supplier by clicking the ‘Email’ button at the top of the screen. This will bring up an email with the sales order attached to it. You can add further attachments from your own file system (if desired) by using the ‘Add Attachment’ button. When the product ordered is received, open the relevant purchase order and click the ‘Receive’ button. This will automatically update inventory levels to reflect the new stock. On our multi-stock location subscriptions, clicking ‘Receive’ will bring up a list of locations and enable you to select the location at which the inventory should be added. If the relevant location is not on the list, you will first need to add the location by going to ‘Stock Locations’ on the ‘Orders and Inventory’ tab. Once a location is selected, it will be recorded on the Purchase Order under the heading ‘Received To’. If you need to change the date that a Purchase Order was received on, simply edit the updated order and update the Date. The new date will reflect on all related purchase receivals as well as the purchase order itself. By selecting the ‘Post’ option you can post your completed order from Vinsight directly into Xero as an accounts payable invoice. Your accounting staff can then manage payables from Xero without having to re-enter invoices.